Tara Westover grew up in Bucks Peak Idaho in mountainous terrain in rural America. Her family were devout Mormon’s, her father a radical preparing for the ‘End of Days’ her mother a midwife and herbalist, she had a violent older brother and another brother and sister just trying to make their way like her. Westover never went to school, never saw a doctor, her birth was never even registered – she didn’t exist in the eyes of the state. Her fathers’ suspicion of government, and poor mental health, degenerated as his family grew. Westover worked in her father’s scrapyard as a child and young teenager and her fathers disregard for his children’s safety in the scrapyard and in everyday life burgeons on the criminal and at times forces you to but the book down for a while as it’s so hard to stomach. Age sixteen Tara Westover decides to educate herself against her family’s strong wishes and her journey of education takes her all the way to Harvard and Cambridge! Her talent cannot be held back even though the struggle of living her life applying her talent to the world while attempting to remain loyal to her family cause her a very large and personal struggle. Tara Westovers extraordinary eye for describing what it is to live along with her beautiful human insights on life combined with her uncommon upbringing create a story described with a heart as open as that of God himself making this story and how it is written almost divine. I can’t recommend it highly enough. Tara Westover is a modern day heroine. What a trip is Eleanor Oliphant! How odd and wonderful this heroine is and how perfectly perfect in her oddity she lives. As the title says Eleanor Oliphant is completely fine as she just survives the world, keeping her life small, neat, uncomplicated, quiet and private. Eleanor lives alone, does her work in a busy office Monday – Friday without social interaction with colleagues and without breaking any rules. She buys a margarita pizza every Friday from M&S along with two large bottles of vodka for the weekend which she drinks alone steadily until Monday morning arrives. Her doorbell rarely rings in her flat and Eleanor has not ‘voluntarily invited another human being across the threshold, except to read the meter’. Travelling the road with Eleanor it feels evident quickly that Eleanor has crafted her life in this way as an effort to keep her hurt of some very dark past trauma deeply buried and to protect herself from any potential future hurt. Eleanor has a degree in classics, is exceptionally well spoken and eloquent but can’t read social cues very well which makes fitting in socially difficult. Eleanor serendipitously makes a new friend whose kindness is transformative for Eleanor. The novel takes on an almost moral fable style fabric when Eleanor’s new friend appears and his small acts of kindness, the kind we ourselves may not even notice or discount on a daily basis, shower Eleanor with the strength that only true kindness brings to help her start to face her very painful past and plan for her future. I wish I could read this book again afresh such a privilege it is to know Eleanor Oliphant. What a treat Elizabeth is Missing is! Author Emma Healey has weaved a dream in which we move with the main protagonist Maud, an elderly lady who is living with ever encroaching dementia, senility or Alzheimer’s (it’s never quite confirmed which and it’s lack of a label doesn’t seem that important a detail either). Maud’s children are grown, her husband passed away and Maud has carers who come in daily to assist her. Although they help they also display a significant absence of empathy and respect towards Maud, as do many of the other characters. Where others fail in their due process towards Maud, Maud displays great self-respect by constantly reminding everyone that her friend Elizabeth is missing. No matter how many times people tell her to stop or patronise her she doesn’t stop telling everyone and trying to solve the mystery. She upholds her dignity in her pursuit of the truth against the tidal wave of her dementia and the unhelpfulness of everyone else. The plot is so cleverly woven like a piece of embroidery, flowing from Maud’s recollections of youth to the current day struggles and binds she finds herself in. 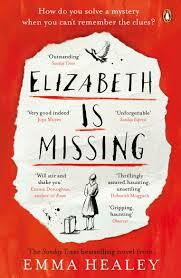 Stories are layered on top of each other building a platform of truth, however uncomfortable, upon which the seventy year old mystery of why Elizabeth is missing is revealed. A rewarding and evocative novel that I wish I could read again for the first time. The book in haiku: Someone is missing, a memory has been lost, now finally truth. Ian McEwan is a master storyteller. In his latest novel he brings us on a journey into the moment of a life of a very successful high court judge, Fiona and the personal and legal challenges she simultaneously faces. McEwan employs his impressive skills of engineering a plot and grinding the wheels of prose to tenderly lament a marriage in peril after thirty years and to bring us on the journey of Fiona’s greatest professional challenge – the case of a seventeen year old Jehovah’s Witness boy who is refusing a lifesaving blood transfusion on the grounds of his religion. To compare this novel to ‘Solar’ or ‘Saturday’ would be an easy thing to do but not appropriate, for this novel relays something that has provoked McEwan’s sensibilities and interest and perhaps it is this suspect personal feel that distinguishes this novel from his others. 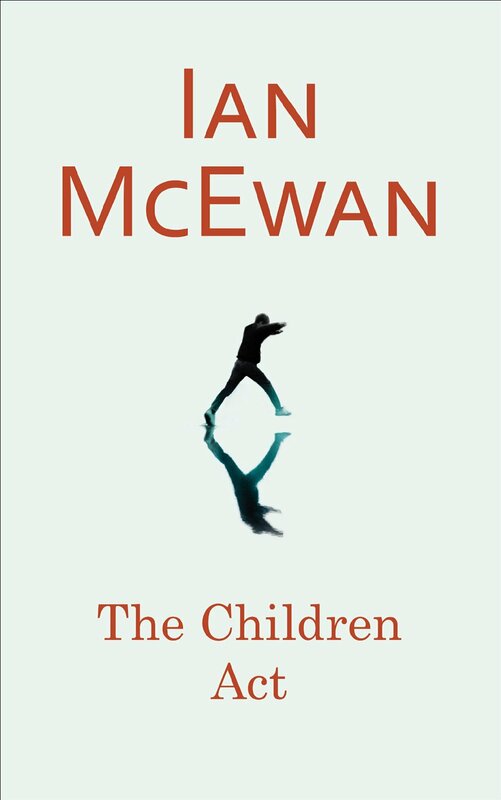 The Guardian, in their review of ‘The Children Act’ observed that McEwan is fascinated with ‘great institutionalized authorities’ in the upper echelons of society – his protagonist in ‘Saturday’ from the esteemed medical profession and in ‘Solar’ a research scientist. Now in ‘The Children Act’ a high court judge. His deluges into Fiona’s personal difficulties however feel more poignant and sit a little less easy than journeys with his previous characters whose theatrical personalities lend themselves to plots of great scope and pace. ‘It could be just like that, a poisonous obsession, an addiction drawing him away from home, bending him out of shape, consuming all they had of past and future, as well as present. I love both Claire Messud and Maggie O’Farrell. They are both accomplished, polished storytellers and professionals of emotionally awakening prose. In 2006 Claire Messud’s ‘The Emperors Children’ moved me in a way no other piece of literature had. And in 2005 I sacrificed much sleep in reading Maggie O’Farrell’s ‘The Distance Between us’. 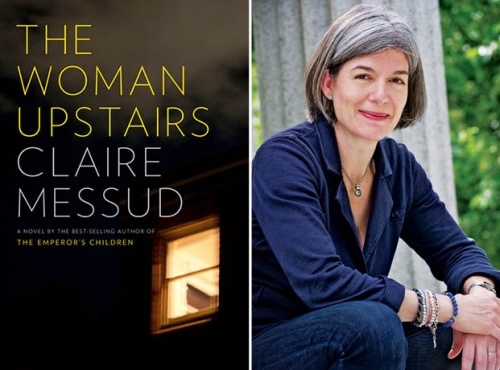 ‘The Woman Upstairs’ deals with a very interesting and perhaps under-explored topic that of a woman’s disillusion with her place in the world and the crushing binds of familial duty. Women are expected to be good and nice and ‘The Woman Upstairs’ shows this to be a perennial and generation busting expectation even in the 21st Century. But most importantly ‘The Woman Upstairs’ deals with the unapologetic and growing anger a woman feels when she finds the time to think broadly about her life in this context. Nora desired to be a fine artist but was counseled by her parents to become a teacher instead and have a stable career. Familial circumstances then caused her to devote much time to taking care of her terminally ill mother and then her aging father to the detriment of her own life and dreams. These limits in her life caused her to develop feelings of self-doubt and cowardice that prevented her from living fully and without fear. A new young pupil in Nora’s elementary school brings into her life an exotic and beautiful family of Lebanese origin. True scholars and artists they bring Nora into their glamorous life of culture and freedom. Nora at lasts tastes the life she has always dreamed of but quickly becomes precariously close with each member of the family as they become for her the family she never had. The prose and plot is not perhaps as captivating as that of ‘The Emperors Children’ but this novel is just as important as it asks in every chapter questions about a woman’s place in the world, it questions the real and unrealistic expectations of a woman and looks at the importance of a woman’s relationship with herself. 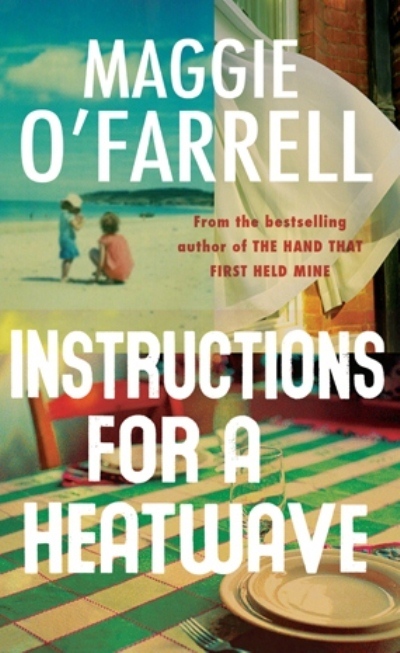 Set in London during the heatwave of 1976 ‘Instructions for a Heatwave’ is a novel based around a family of five whose patriarch tells his wife he is popping out for a newspaper and never comes back. This brings the three adult children back together to their family home as the search for the AWOL father gets underway. In close proximity to each other the children’s own problems and life situations leak out and brew all hot summer long. As we learn about the human problems each adult child faces the novel becomes a great depiction of a real family facing down difficult marriages, lost dreams, unplanned pregnancies and the worst parts of their personalities hotting up under the pressure of the heatwave. The reader never assumes one member of the family could have a known explanation for the fathers leaving or that the intimacy of this secret could bring the family closer together. One of Maggie O’Farrell’s greatest traits as an author is to find intimacy in unusual places; in explosive secrets, in geographical distances or in different life choices and how they can help one to appreciate another. Set against the raging summer heat the secrets of the novel cook to boiling point and perhaps like a full moon the characters are unusually affected by the unrelenting high temperature of the summer of 1976. Maggie O’Farrell’s novels love to suggest that families and marriages are not always as they seem and that secrets may often be at their best when revealed. 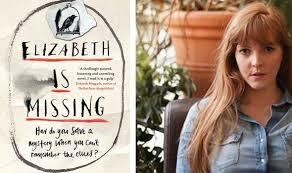 This latest novel does just that and is a delicious and rapturous addition to her catalogue. Paul Lohman’s narration reveals very unsettling ideas and opinions and the reader begins to thoroughly dislike this character which is fine. However at an odd pace and before perhaps the novel has earned the right to the story descends into a very dark and nasty place. With violent acts and thoughts pervading and coming through with disturbingly far right and ultra conservative smugness. This Koch does very well and it is satisfying to intensely dislike characters and every step they take. However it feels like Koch is pointing his finger at something both malignant and tangible in society that he really wants us to take note of, that we can feel is there, but he hasn’t gotten to the core of it not like ‘We Need To Talk About Kevin’ did or how ‘American Psycho’ did. Perhaps it is because this book is highly readable that is has become such a bestseller. Perhaps in our busy lives we want a novel that points at our serious sociological problems but is easy and quick to digest. 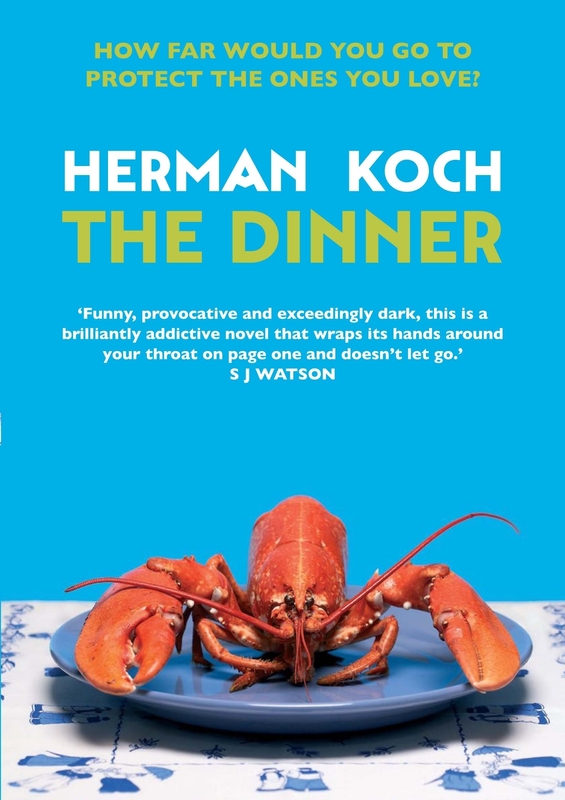 If this is true then ‘The Dinner’ delivers however dealing with such large scale issues too superficially in a novel can leave a reader underwhelmed. 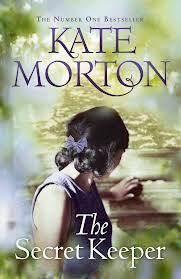 During a party at her family farmhouse, sixteen year old Laurel from her childhood tree house is witness to a criminal act that gives life to Kate Morton’s abundant epic of a novel ‘The Secret Keeper’. Now a grown woman and revered actress of her time, Laurel and her family reconvene to the family farmhouse for the last time with their beloved dying mother. Returning after so long to her family home in such sad circumstances Laurel is overwhelmed by memories and an urge to solve the secret of what actually happened that day. Through research as the National Library Laurel’s journeys back in time to London during the blitz where she attempts to piece together a war torn story of friends, lovers, orphans, secrets and personal tragedies all of which have her mother at the heart of them. 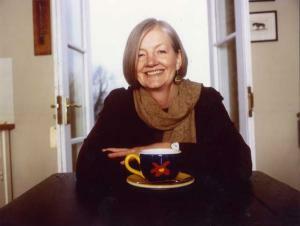 Kate Morton’s story is evocative with a notable tenderness for her female characters and children she describes. Kate’s characters find themselves mixed up together in ways that would never have come about without the war. Her characters share the sorrow of losing loved ones and the hardship of wartime but their differences in personal circumstances and social classes are toxic. This novel is dripping in mystery, is full of well conceived characters and has a very well researched backdrop of war time London blitz making it a glorious page turner of a novel. 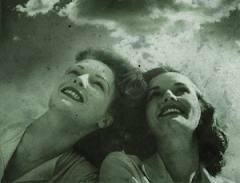 Haiku: As the bombs drop down, Dorothy and Vivien, drop bombs of their own. 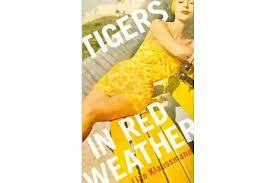 Tigers in Red Weather is a family epic starting at the end of World War two which is successfully told from five familial perspectives culminating in a family portrait which only the reader is privy to. It is such an accomplished and insightful read it is hard to believe that it is a debut novel. The plot spans two decades beginning with main characters husband and wife team Hughes and Nick who are young newlyweds setting up home after Hughes return from the Navy. We are then introduced to Helena Nick’s cousin with whom she is extremely close. Both women are determined to defy normality and the status quo in their lives at all costs. Nick’s cousin Helena is preparing to leave for Hollywood and a new life and Nick is determined never to be a bored housewife. Over two decades the two women’s lives unfold in ways neither of them predicted. Disillusionment sets in and is softened with gin soaked summers spent together with their families in Tiger House where white picket fences and tennis lessons abound. This is also a coming of age story for the women’s two offspring Nick’s daughter Daisy and Helena’s son Ed with a midsummer murder worked into the plot. By their attempts to defy convention oddly the two women find themselves and the love they crave. Following the five narratives we see the consequences of the two women’s attempts at avoiding conventional life at all costs subverting family life and allowing darkness into their lives. The story is well plotted, interesting and Klausmann’s writing is meaningful. It is a character driven novel all of whom are well developed and is a very enjoyable picture of a family growing from the early 1950’s to 1970’s dotted with fine and beautifully written insights into human life and love along the way. For regular readers of middle weight fiction this will not disappoint. Haiku: Tigers all about, where you might not expect them, will create a storm! 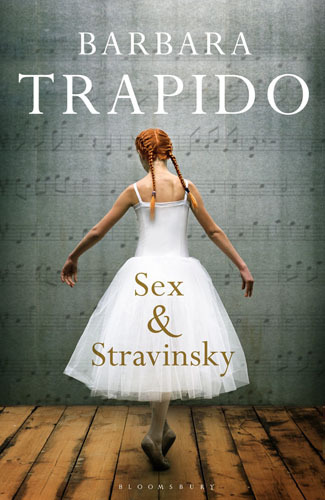 This is not a dream………..
Not unlike Shakespeare’s ‘A Midsummer Night’s Dream’ Barbara Trapido’s new novel is a story of demented romantic and filial love but unlike Shakespeare’s comedy for Trapido’s characters none of it is a dream. The choices of two sets of couples are compounded by impulse and coincidence. Caroline a beautiful and brilliant tall Australian falls under the charm of Josh a Jewish South African who both in pursuits of their careers come to live in England. Meanwhile Hattie and Herman make a life for themselves in South Africa unaware of the momentous connection they have with Caroline and Josh. The story is set between Trapido’s native South Africa and England during the late 1970’s gracing the story with scope and bathed in the historical half-light of South Africa coming out of apartheid. The geography of the two locations allows the idea of serendipity to filter through as the story’s tenant. No matter how far these characters diverge from the paths they were meant to go down fate will find them and realign things to how they should be. This in an oridnary novel could be bland but Trapido is under the wing of Bloomsbury publishers who never publish anything but inventive writing. Like magic, although Trapido’s novel makes confusing and rapid choices if you believe in her, the incredible becomes completely credible. A brilliant old mathematician lives alone in his run down two roomed house in Japan on his sister-in-law’s property. Due to an accident in 1975 he has lost his power to create new memories. He cannot remember anything for longer than eighty minutes and so still believes it is 1975. But he does remember the mathematics he studied prior to the accident and living in this abstract manner comes to be his saving grace. 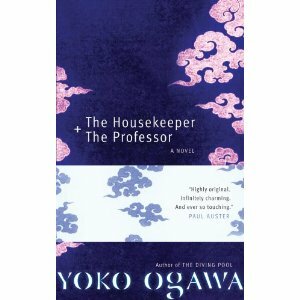 A housekeeper is dispatched by her agency to work for the old man taking care of his home and meals. She is a single parent to a young boy and the trio come to share a deep and tender relationship within the limits of the old man’s disability. The tenderness and empathy the housekeeper and her son develop towards the old man quickly surpass the boundaries of their professional relationship with him and as with many a good novel there are consequences to this. In this beautifully evocative novel empathy finds its place between each of the characters own fragility. The writing allows the plot to develop naturally and the abstract nature of number theory creates another depth to the story. The evocation of Japan and it’s food is very moving as is the story’s natural flow showing Yoko Ogawa’s skill as a writer. This was originally published in Japan under the title The Professor’s Beloved Equation (博士の愛した数式 and sold four million copies. It is a charming jewel of a read.